SPEC INDIA, your IT partner since three decades, has capability of servicing global clients with its endowed and skilled pool of resources in numerous technologies and domains. We have been offering Pentaho Business Intelligence Services competently to our valued clients. We have efficaciously implemented solutions for our customers using the end to end Pentaho BI product stack. 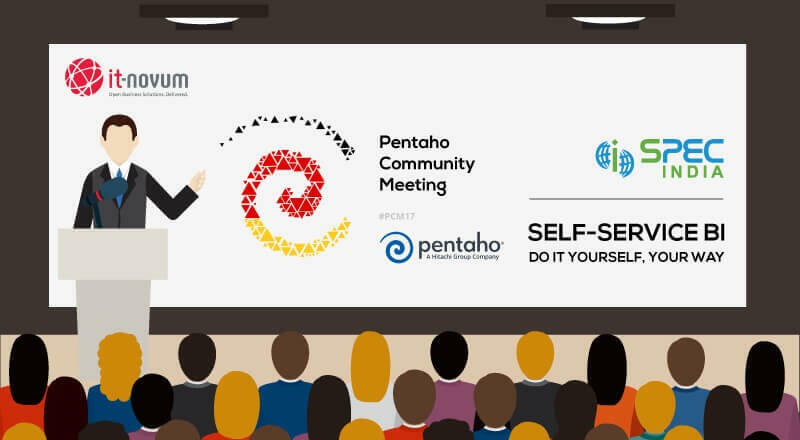 We feel proud to be a part of the Pentaho Community Meet 2017 (PCM17), as it celebrates its 10th anniversary this November with a three day event full of presentations and networking. it-novum is hosting the event together with Penatho from November 10th to 12th 2017 at Mainz, a few miles away from the Frankfurt international airport. This worldwide community meeting is well known as a unique forum for global Pentaho users, architects, designers, product managers to meet, discuss and share the latest happenings, innovations, best practices and success stories associated with the Pentaho product stack. Continuing our initiative in serving the developer community, our skilled team has come up with a Self Service BI plug-in component for Pentaho Community edition users, available on the Pentaho marketplace for global users and developers. This module aims to serve as a self-service dashboard module for business analysts to independently, create reusable widgets and dashboards, with enriched visualization and information along with detailed Saiku Analytics. We are happy to announce that our business analyst, Mr. Pranav Lakhani has grabbed the rare opportunity of giving a technical short talk on the first day of the meeting. In the ‘Hacks & Snacks’ forum, he will be showcasing our Pentaho Self Service BI Solution, its innovative features and the value addition that it offers to the Pentaho global users. SPEC INDIA congratulates Mr. Pranav Lakhani and wishes him great success at the Pentaho Community Meeting 2017. You can download this plug-in from the Pentaho Marketplace and leverage the skills of serving your own needs yourself, without any external dependency. Visit https://www.spec-india.com/services/pentaho-bi-services-solutions/ and request a FREE POC to test drive our Pentaho BI Services & Solutions. We would be glad to address any IT requirement of your and arrange for a meeting, demonstration or discussion, as required. SPEC INDIA, a leading BI & Big Data enterprise solution provider, has always initiated various technological moves supporting the developer community, to its optimum. Around 2 years back, the proficient BI team @ SPEC INDIA designed and developed a Self-Service BI Plug-in, for the users of the Pentaho Community Edition, with an objective for it to serve as a dashboard module for business analysts to independently create reusable widgets / dashboards with visually appealing features. This plug-in, in this span of 2 years, managed to create a lot of popularity and curiosity amongst the end user community, which encouraged the team to enhance it further. There were two updated versions, put up on the Pentaho marketplace, each of them value adding certain features to it, thereby increasing its acceptance and usage amongst the user community. Some salient features of this open source web based / Bootstrap based plug-in are its mobile friendliness and responsive design, filtration and widget linking, easily embeddable and multi-tenant capability. With such an encouraging feedback and increased popularity from all over the globe, our BI team is now highly focused on coming up with a cutting-edge version of the plug-in, imbibing novel features and highly useful advancements, that is sure to enthrall the end users with its high end flexibility, usability and independence in terms of information retrieval and visualization capabilities. With the launch of this advanced version just around the corner, let us have a look at the major highlights that are being focused upon. Advanced table grid features like sorting, searching, pagination etc. SPEC INDIA is looking forward to launch this latest version soon and thereby benefit its Pentaho end user community with further fascinating and useful features of this Self-service BI plug-in. Till then, you can download this plug-in from the Pentaho Marketplace and leverage the skills of serving your own needs yourself, without any external dependency. Visit https://www.spec-india.com/services/business-intelligence-services/ and request a FREE POC to test drive our services. We would be glad to address any of your BI related requirements and arrange for a meeting, demonstration or discussion, as required. We feel elated to share the success of our Self Service BI plug-in launched for the Pentaho Community edition users on the Pentaho Marketplace, a few months back and its rise on the popularity charts. We have been receiving umpteen positive reviews, globally, from the community users, emphasizing the fact that this plug-in has been proving advantageous to them with its visually appealing dashboards / reports and the handy, comprehensive User Guide. Encouraged by the wonderful response from the user community and to continually support the developer community with innovative technological advancements, our BI team has come up with an advanced version of this plug-in, adding innovative features which we are sure, the developers will appreciate. Download this plug-in from the Pentaho Marketplace and leverage the skills of serving your own needs yourself, without any external dependency. Visit https://www.spec-india.com/services/business-intelligence-services/ and request a FREE POC to test drive our services. We would be glad to address any of your BI related requirements and arrange for a meeting, demonstration or discussion, as required. The Bootstrap Dashboard Designer plug-in, on the Pentaho Market Place for the Pentaho Community Edition from SPEC INDIA, has been winning accolades from the developer community all over the world in a very short time since its launch in September last year. 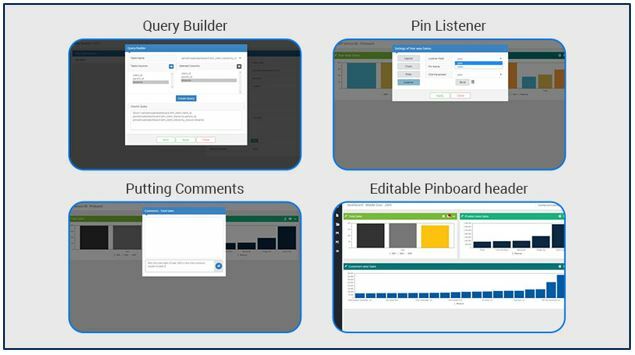 As the name suggests, this DIY plug-in empowers the users to put their own requirements into a very personalized perspective to create reusable widgets and dashboards to plug-in with their Pentaho Business Analytics suites. This simple to use plugin instantly appeals to the users with its lucid user interface enticing the analysts, keeping them encouraged to discover more from their own data. It is no wonder then that the Bootstrap Dashboard Designer plug-in, the latest in our Pentaho kitty shoots up the popularity charts with envious number of downloads today and we are still counting! It was a wonderful surprise when we received a THANK YOU note all the way from Brazil from Mr. Fábio de Salles, a Certified Pentaho(tm) consultant from SERPRO, a leading public company in the development of Information and Communication Technology solutions for the federal government in Brazil, to appreciate our efforts in supporting him and his team enabling them to explore the Bootstrap Dashboard Designer plug-in to the fullest. Not only did Mr Salles share his experiences on his Post, he was also kind enough to appreciate our efforts in English as well, for the benefit of a larger user base. He has promised to help in popularizing the plug-in in his region and across the globe. With our acumen and insight gathered over the years for the Pentaho BI product stack, we offer specialized end to end solutions to our clientele in the Pentaho genre. SPEC INDIA is proud certified partners of Pentaho and officially features in the Pentaho Partner Network List. At SPEC INDIA, we provide meaningful value additions with our technical initiatives to Pentaho enthusiasts across the globe. Visit https://www.spec-india.com/services/business-intelligence-services/ & Request FREE POC to Test Drive our services. It has been SPEC INDIA’s initiative to support the developer community with innovative technological advancements which can prove useful and worthy to the developer community. 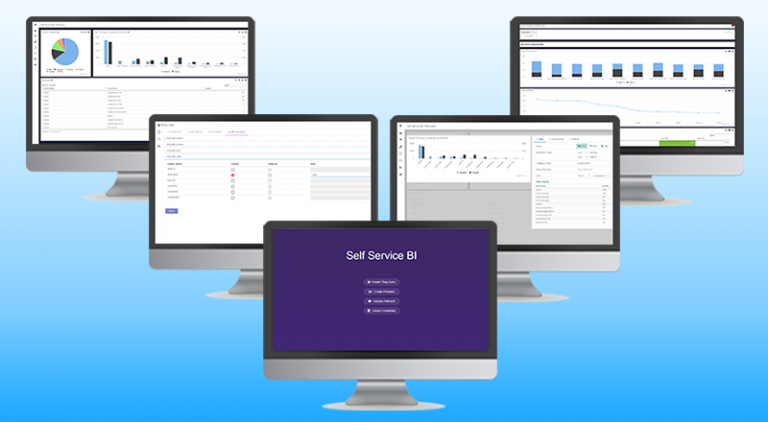 As a part of this endeavor, we recently, launched a Self Service BI plug-in component for the Pentaho Community edition users on the Pentaho Marketplace for users and developers world-wide. Some salient features of this open source web based / Bootstrap based plug-in are its mobile friendliness and responsive design, filtration and widget linking feature, easily embeddable feature, multi tenant capability. We are elated and have been receiving positive reviews from the community users, emphasizing the fact that the plug-in has served its purpose of benefiting the users with its visually enriched dashboards and reports. We have supported the plug-in with an informative and helpful User Guide which helps developers in understanding the workflow in a systematic and detailed manner. Query Builder: Helps to create the CDA data source easily without having underlying SQL skills. Pin Listener: Inter pin linking in Pinboard to provide the drill-down functionality ensuring more interactivity. Comments: Provision for business users and analytics team to add comments in Pin board / Pin, which would help them take decisions based on the hidden pattern of data. Editable Pinboard header: to showcase the appropriate heading title. We look forward to receiving feedback from the user community and are also hopeful of having an increased user base who can benefit from this plug-in. Download this plug-in from the Pentaho Marketplace and leverage the skills of serving your own needs yourself, without any external dependency. Our User Guide will help you through the detailed steps and process to be followed to ensure a successful implementation of the plug-in at your end. 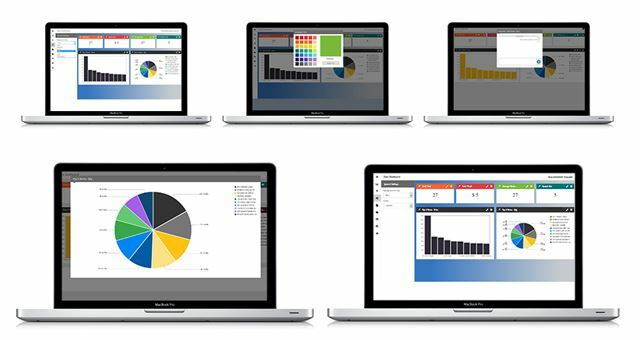 Request a FREE POC to test drive our Business Intelligence Services. We would be glad to address any of your BI related requirements and arrange for a meeting, demonstration or discussion, as required. SPEC INDIA, your single stop solution provider for any kind of IT requirements, has been servicing global clients with its talented and skilled pool of resources in various technologies and domains. It has been a continuous endeavor, by our skilled Business Intelligence (BI) and Big Data resources, to serve the developer community with novel technological advancements, one of which is a Bootstrap Dashboard Designer plug-in, launched in the Pentaho Marketplace which has been appreciated widely. We are proud global technical and reseller partner with Pentaho ? the leading BI Suite and we have been offering and have successfully implemented solutions for our customers using the end to end Pentaho BI product stack. We officially feature in the Pentaho Partner Network List. Continuing with our endeavor to support the developer community, we have successfully launched a Self Service BI plug-in component for Pentaho Community edition users on the Pentaho marketplace for global users and developers. This innovative and enriched plug-in aims to serve as a dashboard module for business analyst to independently, create reusable widgets / dashboards and is sure to benefit the community with its visually appealing features, dashboards and reports. Download this plug-in from the Pentaho Marketplace and leverage the skills of serving your own needs yourself, without any external dependency. Our User Guide will help you through the detailed steps and process to be followed to ensure a successful implementation of the plug-in at your end. SPEC INDIA, your IT partner, since 27+ years, has experience of servicing global clients with its talented and skilled pool of resources in various technologies and domains. We have been providing Business Intelligence (BI) and Big Data services proficiently to our esteemed clients. We are proud global technical and reseller partner with Pentaho – the leading BI Suite and we have been offering and have successfully implemented solutions for our customers using the end to end Pentaho BI product stack. We officially feature in the Pentaho Partner Network List. As Pentaho’s official partners, it is our continuous endeavor to contribute to the developer community, and a few months ago we developed and launched ‘Bootstrap Dashboard Designer‘ plug-in, in the Pentaho Marketplace which has been appreciated widely. Continuing our initiative in serving the developer community, our skilled team is coming up with a Self Service BI plug-in component for Pentaho Community edition users which will soon be available from Pentaho marketplace for global users and developers. This module aims to serve as a dashboard module for business analysts to independently, create reusable widgets and dashboards, with enriched visualization and information. We zealously, await the launch of this innovative and enriched plug-in, which is sure to benefit the community with its visually appealing features, dashboards and reports. Watch this space for the launch and further details on it. Visit https://www.spec-india.com/services/business-intelligence-services/ and request a FREE POC to test drive our services. We would be glad to address any IT requirement of your and arrange for a meeting, demonstration or discussion, as required.